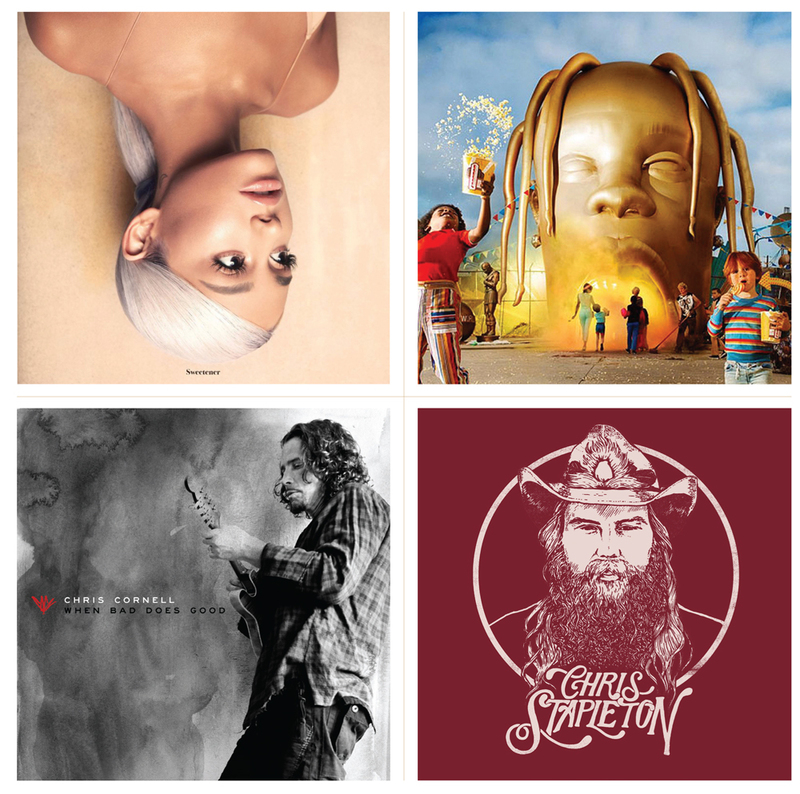 A couple of weeks ago, I teamed with my fellow Grammy Nerd Lenny Beer to pick the likely winners in the Big Four categories. Here I look below the top tier, and offer 37 more quick picks. Best Pop Vocal Album: Ariana Grande’s Sweetener. Look for Grande’s album to win in a squeaker over albums by P!nk and Camila Cabello. Best Pop Duo/Group Performance: Lady Gaga & Bradley Cooper’s “Shallow.” But watch out for “The Middle” by Zedd, Maren Morris & Grey. Either would be the first collab to win in this category in three years. Best Traditional Pop Vocal Album: Tony Bennett & Diana Krall’s Love Is Here to Stay. This would be Bennett’s 14th win in this category; his third in collaboration with a female star. Krall would follow k.d. lang and Lady Gaga. Best Dance/Electronic Album: Sofi Tukker’s Treehouse. The duo was nominated for Best Dance Recording two years ago for “Drinkee.” They’ll perform it during the pre-telecast awards, now rather grandly known as the Premiere Ceremony. Best Dance Recording: Silk City & Dua Lipa’s “Electricity.” This would be Diplo’s second win in this category; he and Mark Ronson comprise Silk City. Diplo won three years ago as one-half of Jack Ü (with Skrillex), which scored with a collaboration with Justin Bieber. Best Rock Album: Greta Van Fleet’s From the Fires. This double EP would be the first EP to win in this category. Best Rock Performance: Chris Cornell’s “When Bad Does Good.” This would be the third year in a row that this award was presented posthumously. David Bowie’s “Rockstar” and Leonard Cohen’s “You Want It Darker” were the last two winners. Best Metal Performance: Underoath’s “On My Teeth.” Underoath is the only finalist in this category with a previous nomination. Best Rock Song: “Masseduction” (Jack Antonoff, St. Vincent). Antonoff won Song of the Year six years ago for co-writing “We Are Young” with his colleagues in fun. and Jeff Bhasker. Best Alternative Music Album: Beck’s Colors. This would be Beck’s third win in this category, which would put him in a tie with Radiohead and The White Stripes for the most wins in the category’s history. Best Rap Album: Cardi B’s Invasion of Privacy. Cardi B would become just the second woman to win in this category. Lauryn Hill won the 1996 award as a member of Fugees. Best Rap Performance: Travis Scott, Drake, Big Hawk & Swae Lee’s “Sicko Mode.” This smash hit #1 right during the voting period. Good timing. This would be the first win in this category for Drake; the first win period for these other artists. Best Rap/Sung Performance: Kendrick Lamar & SZA’s “All the Stars.” This would be Lamar’s third win in this category in the last four years. Best R&B Album: H.E.R.’s H.E.R. This compilation album would be the first album by a new artist to win in this category since Jennifer Hudson’s debut album Jennifer Hudson 10 years ago. Best Urban Contemporary Album: The Carters’ Everything Is Love. This would be Beyoncé’s second win in this category, which would put her in a tie with The Weeknd for most wins in this category. This would be Beyoncé’s 23rd Grammy overall; Jay-Z’s 22nd. That is one crowded trophy case. Best Traditional R&B Performance: Charlie Wilson featuring Lalah Hathaway’s “Made for Love.” This would be the first Grammy win for Wilson, the founder of The Gap Band. It would be Hathaway’s record-extending fourth win in this category. Best R&B Song: “Boo’d Up” (Larrance Dopson, Joelle James, Ella Mai, Dijon McFarlane). The Song of the Year nom for this chill ballad gives it an edge here. Best Country Album: Kacey Musgraves’ Golden Hour. Musgraves won in this category five years ago for Same Trailer Different Park. This would make her the first female solo artist to win twice in this category. Best Country Solo Performance: Chris Stapleton’s “Millionaire.” This would make Stapleton the first three-time winner in this category. He’s currently tied with Carrie Underwood at two wins apiece. Best Country Duo/Group Performance: Dan + Shay’s “Tequila.” The duo’s follow-up smash, “Speechless,” was #1 on the country charts throughout the voting period. Best Country Song: “Space Cowboy” (Luke Laird, Shane McAnally, Musgraves). This would be the second win in this category for Musgraves and McAnally. “Merry Go ‘Round,” which they co-wrote with Josh Osborne, won five years ago. Best Americana Album: Brandi Carlile’s By the Way, I Forgive You. Carlile’s Album of the Year nom gives her an edge, but this will be close with John Prine’s The Tree of Forgiveness. Best American Roots Song: “The Joke” (Carlile, Dave Cobb, Phil Hanseroth, Tim Hanseroth). Carlile and company are competing against two songs by Prine and his collaborator, Pat McLaughlin. Told you it was close. Best American Roots Performance: Carlile’s “The Joke.” This would be the fifth straight year that a female solo artist or female-led group has won in this category. Best Compilation Album for Visual Media: The Greatest Showman. This was last year’s best-selling album on both sides of the Atlantic. Best Score Soundtrack for Visual Media: The Shape of Water (Alexandre Desplat). The French composer won an Oscar and a Golden Globe for this score. A win here would make this the third score in the past decade—following Up and La La Land—to sweep all three of these awards. Best Song Written for Visual Media: “Shallow” (Lady Gaga, Mark Ronson, Anthony Rossomando, Andrew Wyatt). This is likely to win both Song of the Year and this award. It would be the first song to win both of these awards since “My Heart Will Go On” 20 years ago. Best Music Video: Childish Gambino’s “This Is America.” This would be Donald Glover’s second Grammy, to go along with his two Primetime Emmys. Best Music Film: Quincy Jones’ Quincy. Q will set two records if he wins. This would be his 28th Grammy, which is more than any other living person; he’s currently tied with Alison Krauss, with 27 each. And this would be the sixth consecutive decade in which he has won a Grammy in competition. Producer of the Year, Non-Classical: Linda Perry. Perry would be the first woman to win in this category. Took a while; Perry was just nine when the category was introduced in 1974. Best Comedy Album: Dave Chappelle’s Equanimity & the Bird Revelation. Chappelle won last year for The Age of Spin & Deep in the Heart of Texas. He would be the first performer to win two years running in this category since the late, great George Carlin in 2000-01. Best Musical Theater Album: The Band’s Visit. Ten Tony Awards in June, and now a Grammy. Best Contemporary Instrumental Album: Marcus Miller’s Laid Black. Miller has amassed 16 Grammy noms, more than his rivals in this category combined. Best Spoken Word Album: Jimmy Carter’s Faith: A Journey for All. This would be the former President’s third win in this category. That would put him in a tie with Orson Welles and Maya Angelou for the most wins by anyone in the category’s history. That’s almost as good as winning a second term, isn’t it? GREIN ON GRAMMYS: HONORED AND SNUBBED. WTF?! !